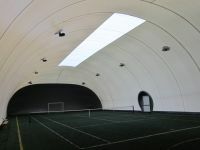 AIR STRUCTURES, Air Domes, TEXTILE COVERINGS FOR SPORT FACILITIES, football grounds,SWIMMING COMPLEX, tennis courts, ICE ARENAS,multi-sports facilities, RECREATIONAL FACILITIES, bulk storage, EQUIPMENT ENCLOSURES, warehousing. 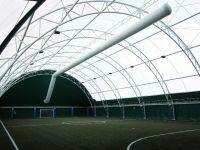 Air supported structures,TENSIONED STRUCTURES, glulam structures, FRAME STRUCTURES. P.IVA, C.Fiscale e Reg. Imprese di Novara 00875810038 - Capitale Sociale 98.800,00€ i.v.